While smartphone market in India grew last year in 2016, 2017 isn’t going to be that good for handsets. 4G handsets saw unprecedented growth last year, because of a couple of elements, but shipments of handsets in 2017 is going to see only a marginal increase. According to a report by Cybermedia Research(CMR), India’s handset market is expected to grow only marginally in 2017, to 270 million phones by shipments while the share of smartphones may increase by five percentage points. 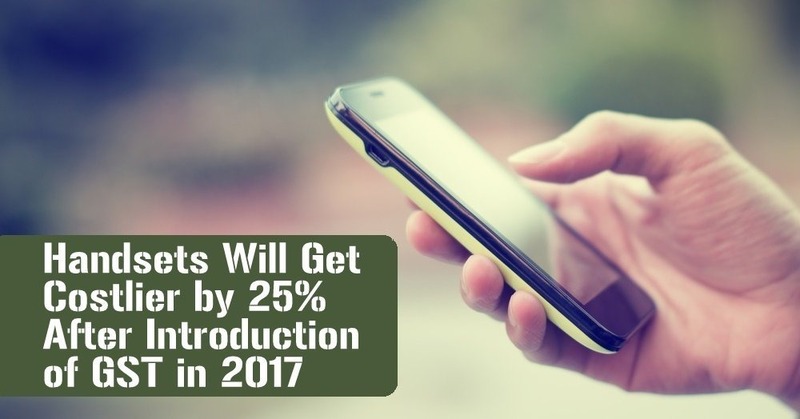 As GST will hopefully get introduced, the prices of mobile phones could go up between 15 and 25% through 2017. The prices will vary depending upon the actual implementation of GST, but expect an increase in prices by the mid of this year. This is in complete contradiction to the smartphone prices today – mid-range phones are getting cheaper and more loaded, while premium phones are getting more expensive and high-end. This also has to do with the Chinese manufacturers entering the Indian market and setting up local assembly plants. Demonetisation also decreased the pace of shipments in India, as the citizens were out of cash in the cash-intensive economy. However, 2017 will see a different reason for a slower growth in smartphone shipments, and this may impact the mobile phone market. “Based on institution of the Phased Manufacturing Program (PMP) roadmap, whereby five more components of mobile handsets will be brought under the ambit of the differential duty regime,” said Pankaj Mohindroo, chairman of the government-backed Fast Track Task Force. Is the price increase going to affect sales? According to the report, Singapore and October are the times when maximum sales happen. If the GST is implemented in July, then the industry would be able to take the impact and counteract to normalize the increase in prices. To also compensate for the price increase in the later half of this year, companies may release some exciting discounts in the first half through festive sales. These companies are also hoping to cash in on phones in the sub-Rs 10,000 category, where ‘Digital India’ is being promoted by the Government. Companies will have to look for alternatives to reduce the cost of their smartphones and that depends on their model. Some may choose to cut down on advertisements, while some may focus only on the sub-Rs 10,000 segment which is the most competitive. "Handsets Will Get Costlier by 25% After Introduction of GST in 2017: Report", 5 out of 5 based on 1 ratings. Local Language Support To Be Mandatory For All Mobile Phones! Single device to rule them all: Will the convergence end? It was all progaganda that with introduction of GST prices will go down.Sab ek dusre ko bewakuf banane mein lage hain.. Bharat ki janta bhi waisee hain . . .